Zoos are still a common fixture in towns and cities around the world and claim to provide plenty of entertainment for kids and adults alike. Zoos commonly keep a wide range of animals in one facility, but some specialise in a certain type of animal: for example, aquaria specialise in fish, while zoos that keep dolphins or whales are known as dolphinaria. A safari park is a type of zoo that keeps its animals in much larger enclosures through which visitors can usually drive. Zoos may keep anything from a handful of animals to thousands from hundreds of species. Whatever their type and size, all zoos should meet the basic needs of the animals they house. This includes providing a proper diet, adequate space and shelter, and an enriched environment that at least offers the opportunity for natural behaviour. Unfortunately, these basics are not by any means guaranteed. Ultimately it’s your decision whether or not to visit a zoo. Reading up on the main issues first will help you make a responsible decision. Keeping wild animals in captivity usually means housing them in an unnatural environment. Enclosures are frequently far too small and offer nothing like the complex natural habitats in which animals have evolved, preventing the animals from expressing normal behaviour and causing them significant stress. 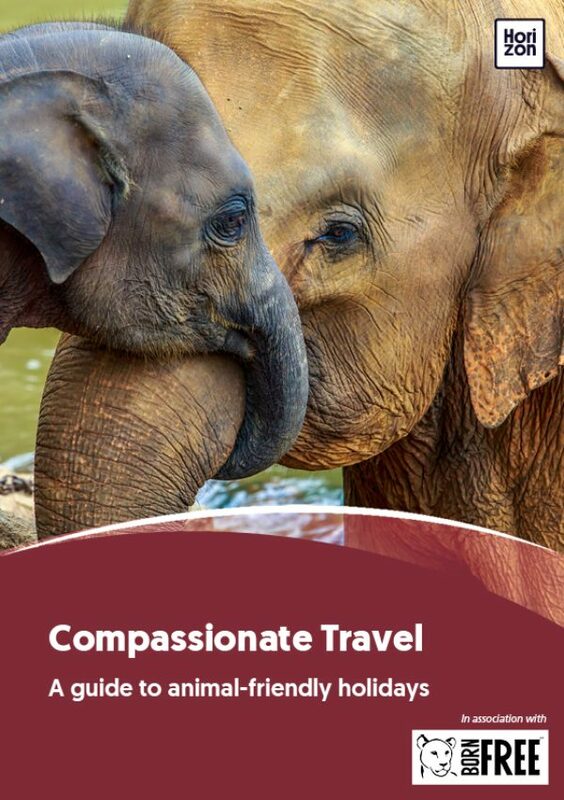 Life in captivity can be especially traumatic for animals like big cats, bears, elephants, and dolphins that, in the wild, travel vast distances and maintain enormous territories. Breeding programmes may not be what they seem and may be poorly regulated. Some zoos allow their animals to breed in order to trade with other zoos. Some breed because they know that ‘cute’ baby animals are good box office. In some cases they sell their surplus animals to wildlife dealers, or for hunting. The very worst zoos use their animals in cruel performances or shows, or allow direct public contact between the public and wild animals for an additional charge, risking both human and animal health and safety. Zoos have a long history, originating from private collections of wild animals kept by ancient kings and emperors as a way to demonstrate their wealth and power. Public zoos emerged in the mid-1800s as displays of exotic curiosities from far-flung corners of the world, sometimes as a way of indicating the extent and power of empire. Conditions were usually appalling, with animals kept in bare cages in the most unnatural of environments. Fortunately some progress has been made since then. In some countries there are rules requiring zoos to support public education, animal welfare and the protection of species in the wild. There have been moves towards creating more natural enclosures, restrictions on how zoos can breed and trade their animals, and even limited efforts to use zoos to help replenish declining wild populations. In countries such as the USA and in the EU, zoos are required to be licensed, although that is by no means always a guarantee of quality. Despite this progress, most zoos exist primarily for visitor entertainment rather than conservation and animal welfare. Scant regard is paid to animal welfare considerations and most zoos continue to keep their animals in conditions that are a far cry from their natural habitats. Wild animals kept in captivity require environments that match their natural instincts and needs, with features that encourage the expression of natural behaviour. For instance, burrowing animals should be able to dig, tree-dwellers should have vegetation and opportunities to climb, and animals that swim or wallow should have enough water to do so. When wild animals are deprived of space and the ability to express their normal behaviour they become stressed and are more likely to fall ill and die prematurely. In short, enclosures should be designed for the benefit of the animals, not for the entertainment of the visitor. Some unscrupulous zoos train their animals to perform tricks and stunts - parrots riding bicycles, or elephants standing on their heads, for example. Some use animals as props for photos (frequently for an additional charge). Any activity that involves a wild animal being used in performances should be avoided (see Animals In Circuses). 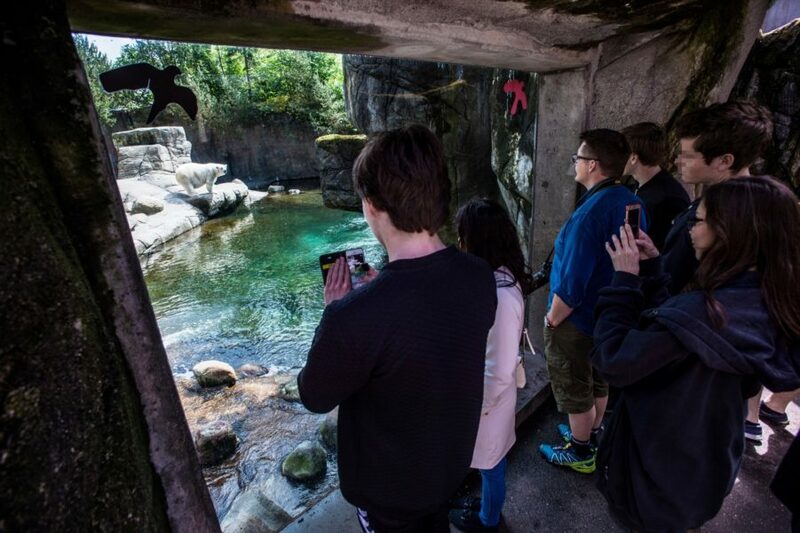 More recently, zoos have been encouraged to play a bigger role in public education, fundraising for conservation efforts, and to take part in scientific research. However, commitment to these efforts varies greatly from zoo to zoo. If you visit a zoo, ask what programmes it actively supports, how many of the species it has helped return to the wild, how much money it invests in the protection and conservation of species in the wild, and what it is doing to reduce the impact of humans on wildlife populations and their habitats. Bear in mind that zoos may make exaggerated or inaccurate claims about their role and commitment to conservation.